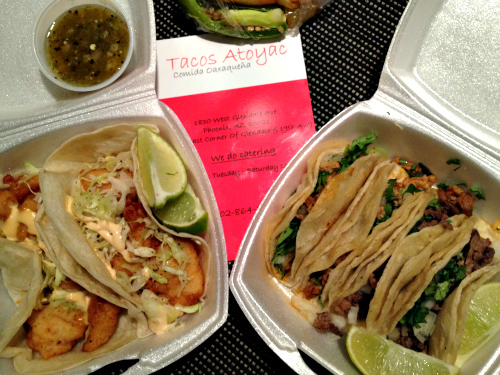 Update: Tacos Atoyac is now Restaurant Atoyac. New name, evolved ownership, few small changes, but same fantastic fish tacos. A great taco is a bite hard to forget. 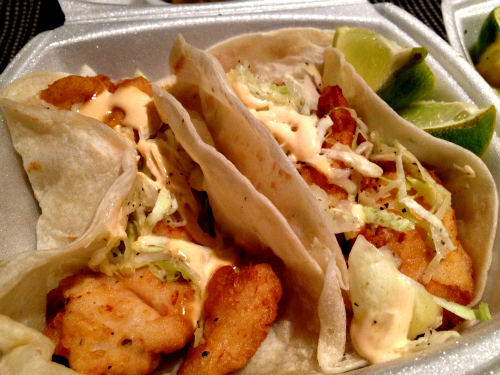 A great fish taco is sometimes a bite hard to find. From local hangouts to corporate franchises alike, fish tacos are ubiquitous, especially here in the Southwest, but an infestation of the bland erode our memory of the truly delicious. If you haven’t already been to Tacos Atoyac in North Central Phoenix, you should go, now. Located on the NEC of Glendale and 19th Avenues, this spare, no-fuss spot is slightly ajar the well-traveled paths of many, however, it deserves any detour. It is simply one of the best taco spots in town. And yes: they serve some damn good fish tacos. Sealed inside a thin crust of seasoned batter, Tacos Atoyac’s tacos de pescado present flaky, delicate hunks of searing hot white fish that give immediately. And like any wonderful, Baja-style fish taco, these few-bite handfuls are layered in pliable, warm flour tortillas with a crunchy, bitter cabbage and onion slaw and zags of a spiced, buttery crema. From their creamy, warming horchata, their carne asada – perfectly charred – and their sinful Al Pastor (chopped pork marinated in pineapple; spices), seasoned to the point of perfumed, some serious thought goes into the food at this tiny, independent Phoenix taquería. All varieties are super cheap (no taco over $1.50 each), arrive with a sachel of salty grilled onions and spicy jalapeños, and are each made-to-order. Whether you’re riding solo or standing in a line five-deep (I’ve been there), the consistency and patience adhered to each and every taco shoveled out of this humble, pocket-sized establishment is yet another reason to fall desperately in love with it. 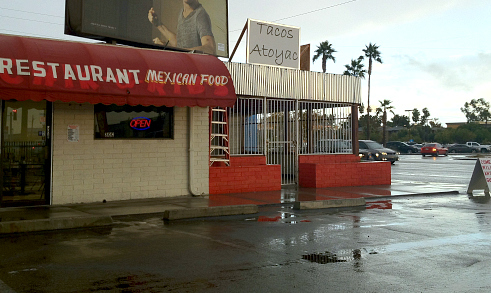 Tacos Atoyac also serves menudo, and a whole list of burros, tortas, tamales, desserts, and so on. Unfortunately, I’ve yet to try any of them. 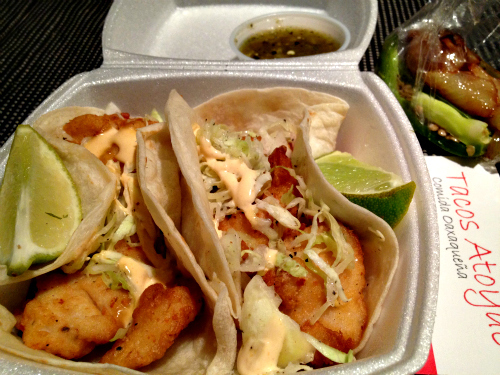 It’s those fish tacos I keep dreaming about most. looks great!! Is this there only location? Did we ever get details on this location? Those tacos look great!